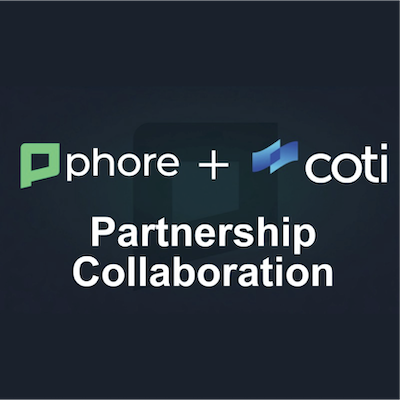 Phore Blockchain announced a partnership collaboration with COTI, the world’s first blockchain protocol optimized for payments and stable coins. COTI boasts a professional, experienced and well connected team, and Phore will be exploring various partnership opportunities that may include decentralized applications, such as the Phore Marketplace, and opportunities with Phore Synapse Smart Contracts among others. Along with the partnership collaboration effort, Samuel Falkon, COTI Co-Founder and VP of Business Development, joins the Phore team and will serve as a Strategic Advisor and Thomas Ambler, Phore Blockchain Co-CEO, will serve as a Strategic Advisor to the COTI project. These relationships will enable COTI and Phore Blockchain to maximize collaboration opportunities as each project develops. Phore Blockchain won an epic battle in the popular MasternodeMeBro18contest to win the “Champion” title. 64 Masternode projects were originally selected to compete by garnering the most industry and community votes that results in one project advancing, and one being eliminated. Phore has won against Bitcoin Green (BTG), Crave (CRAVE), ALQO (XLQ), and PIVX (PVX). Phore will battle against the three other Champion projects in the final “Grand Champion” round to be announced soon. Other contests and PHR promotional giveaways were done through Phore’s various social channels. We began closed beta testing of the new Phore wallet featuring an entirely new User Interface (UI). Wallet release information will be coming within the next few weeks. Phore Marketplace development continues with many improvements planned. Phore Synapse development is rapidly progressing as we implement the Ethereum Shasper spec for building a sharded, CASPER blockchain. Our design for this new type of blockchain separates state changes from state. The entire blockchain is a type of smart contract, processing validator registration/logins/attestions. Because we need about 130 validators per chain to achieve a security level of 2^-80, we’ll start out with 5 chains, with at least one being dedicated to simple transfer and one for smart contracts. After finishing the current phase of writing state transition and processing function, we’ll build out P2P, RPC, a wallet, and a testnet to benchmark and test the new architecture.